In a volatile week for cryptocurrency, good news came from an unexpected source, as Russia is drafting a bill to legalize cryptocurrency trading. A vote is coming soon on a bill put together by the Russian Ministry of Finance. Russia will attempt to regulate and standardize cryptocurrency trading. There’s a lot up in the air, but this could have positive ramifications for both Russia and cryptocurrency in general. And now the Russian Ministry of Finance has cooked up a bill that will allow regulated crypto trading. Vitalik sitting near Vladimir Putin, the president of Russia, at International Economic Forum in 2017. There’s a lot to still be hammered out. It’s unclear how regulated the exchanges will be, or if certain coins will be restricted from trading. In an interview last year, Moiseev floated the idea of making cryptocurrency purchases only allowable by certain individuals. Presumably, this would be akin to accredited investors in America. Accredited investors are individuals of a certain net worth ($1 million) or who have been making more than $200,000 for the pst 2 years. Accredited investors are allowed to make investments deemed excessively risky for most people. This restriction would protect the average investor from the volatility of cryptocurrency, an investment class most people still don’t fully understand. Russia has an underrated crypto community. Projects like Kolion and ZrCoin have emerged from Russia, and Russian-born Vitalik Buterin’s Ethereum is the #2 currency in the world by market cap. With loosening of rules, the community could flourish. In the former Soviet Union, technological and mathematical education was a priority. To this day, some of the world’s most accomplished mathematicians and programmers hail from Russia. The country could be a crypto sleeping giant, especially for mining. Russia has the perfect climate, literally and figuratively, to host mining servers. Electricity is extremely cheap in Russia; its vast, cold climate helps cut down on cooling costs of servers, with costs ranging from 50-70% less than the international average. There’s still a lot to iron out, and Russia has flipflopped in the past on crypto. But things are looking up for cryptocurrency in the world’s largest country. We’ll be keeping a close eye on Moscow to see how things shake out. Chris Hall is an experienced fintech writer specializing in crypto. He's written books, white papers, and everything in-between. 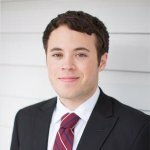 Located in the Carolinas, Chris has a passion for all things blockchain.